The Joie Steadi car seat enables your most precious of cargo to travel rear-facing until around four years old (up to 18Kg). 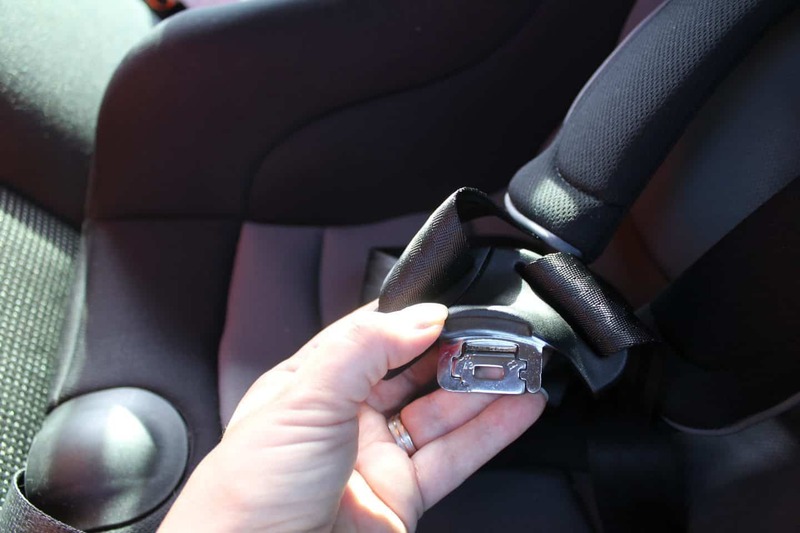 In light of recent iSize regulations coming into place that state a child must be rear facing until 15 months as a minimum (more info here) this will be something that a lot of parents will need to think about! Athena has been using her new car seat for a couple of weeks now in rear facing mode. Previously she was in a car seat facing forwards, but we had a little bump a few months back and although she wasn’t in the car seat at the time it’s been playing on my mind that the car seat might have had some damage that we couldn’t see. Joie sent us the Steadi to review and although it can forward face I’ve been doing some research and decided to rear face her for as long as possible. 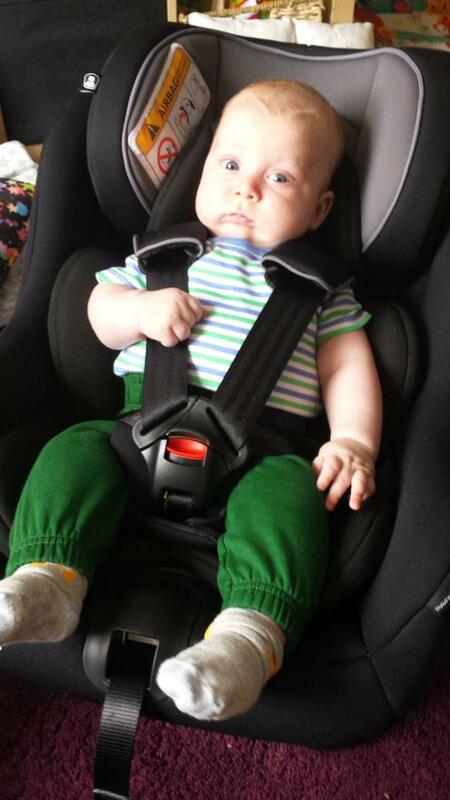 It’s a Group 0+/1 car seat, rearward facing from birth to 18kg or Forward facing from 9kg to 18kg. It has four reclines, a 5 point harness and an adjustable headrest. All the adjustments can be made with one hand too. It fits into the car with the three point adult seatbelt and this is surprisingly easy to do thanks to the colour coded ‘lock off’ devices on the side of the seat. Note that in the first photo above I’m holding the seatbelt out of the way so you can see Athena being restrained, though if we were actually driving they would be pulled tighter. When it first arrived I popped Arlo into it whilst it still had the cushion in for smaller babies right out of the box, he looked incredibly comfortable in it too, so this may be an option for when he outgrows his current group 0 car seat but still needs to face rearwards, which he will need to do to for the next 12 months minimum. So an option for us is to get the next stage up seat for Athena around that time so that they can both travel as safely and comfortably as possible. The newborn inserts just pull out, no awkward unthreading of the straps to be done, and the inserts and all other covers are washable. The harness clip is the easiest one I’ve come across, and I can get Athena clipped in easily with no faffing which is a bonus! The one on our last car seat took me at least 2 attempt to click together and didn’t have a one hand adjust either! This harness is easy to loosen and tighten with one hand, plus the shoulder pads have a funky rubberised bottom layer so they grip to the child’s clothes. This means that madam-houdini hasn’t yet managed to get her arms out of the straps, something she was always doing with the last car seat! The headrest is a big plus point for us, as Athena is tall her head was already poking out of the top of the last car seat, offering very minimal protection. The Steadi offers side impact protection for the head, as well as for the body and as the headrest is adjustable it suits from newborn to around 4 years old with ease! Initially I was a bit worried about what she would do with her legs, but she just bends them up, or sometimes stretches them out and rests her feet near the top of the back seat. As a friend pointed out, if you were in an accident would you rather your child broke their leg or their neck? I don’t think that needs an answer! 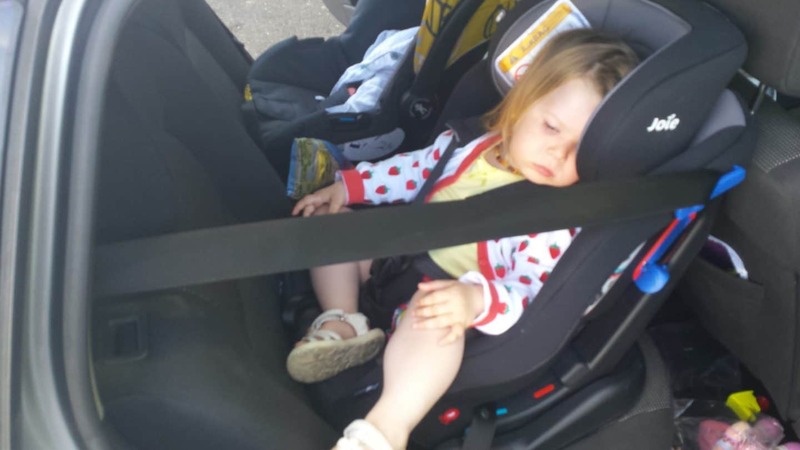 I wanted to wait to publish the review until we had done a longer journey in with it, last weekend she was in the car for two hour and a half drives, longer than normal and there were no complaints and she slept most of the way there and back even, so plus points for comfort! 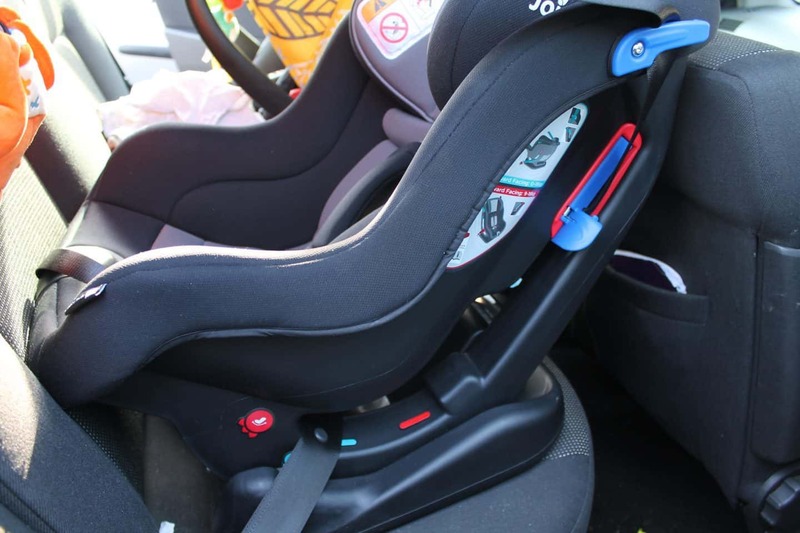 The Steadi retails at around £139, which is definitely at the lower end of the price scale for a seat that you can use for four years, and as it enables you to have your child rearward facing for the maximum time it’s a brilliant price! My only criticism is that the colourway in black (and a red is available) is a bit dull, it would be nice to have something a bit funkier, but to be fair I only see it as I put her in and out of it and at the end of the day it’s made to be functional not fashionable! 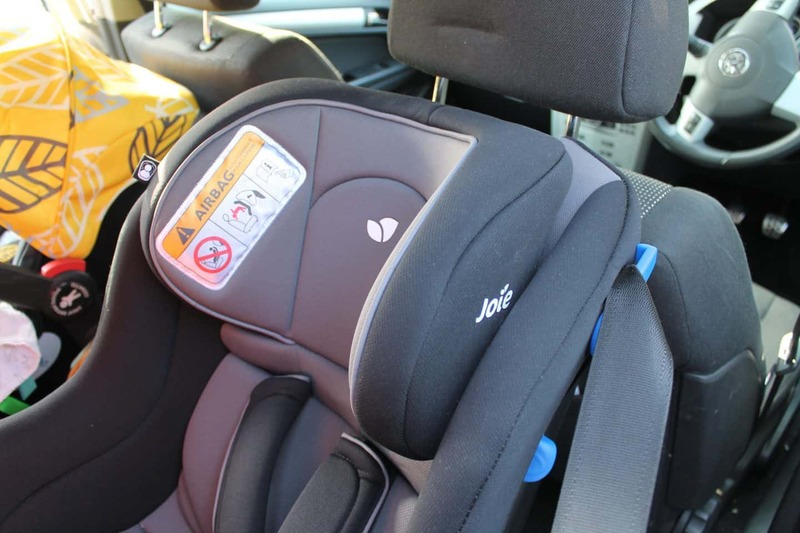 The other car seat Joie do that is rear facing until four is the iAnchor, which uses an ISOFIX base AND the car seatbelt for extra protection. 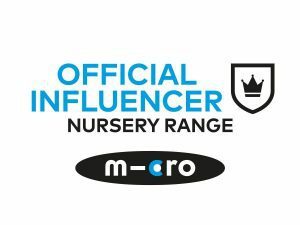 If you’d like to know more about the Joie range then there is a great review of the Nitro stroller here. We were sent the Steadi for the purpose of this review, all words and opinions my own. This post includes affiliate links. Those rubbery strap backs are such a good idea! my LO is always wriggling free of his! love the idea of keeping them facing backwards as long as possible! And you’re right I do love a funky looking car seat but actually it’s the safety that’s important isn’t it and you can’t see it when you’re driving anyway! If you ever need another car seat for your beautiful babes, try the Doona from CuddleCo. It uses an Isofix base and converts into a stroller at the click of a button.